I have been in South Dakota for just over a week and have had some exciting birds while training in the Black Hills and once I moved east to start my surveys in Fort Pierre National Grassland. The library is about to close, so I will leave you with some pics from the first week. 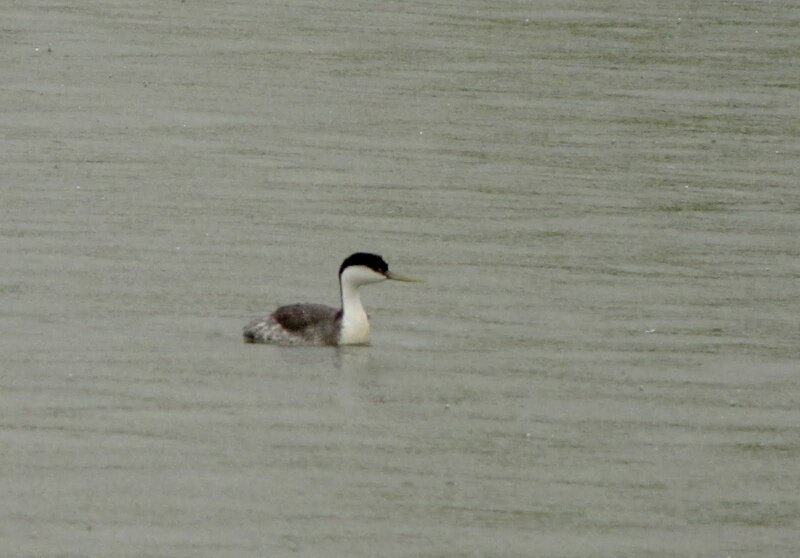 Western Grebe-seen from our campsite in Pierre, SD. We were able to watch them doing their "dolphin dives" into the water. 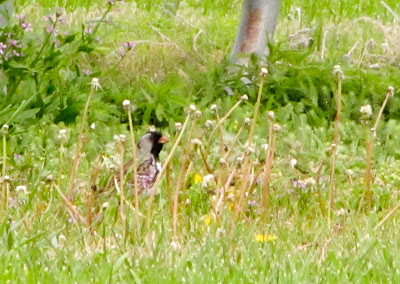 Harris's Sparrow-One of the more beautiful sparrows, this one is just a migrant. 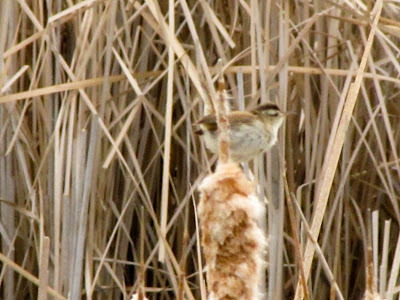 Marsh Wren-Only about 100 feet from our campsite we were able to watch many Marsh Wrens building their intricately woven nests. 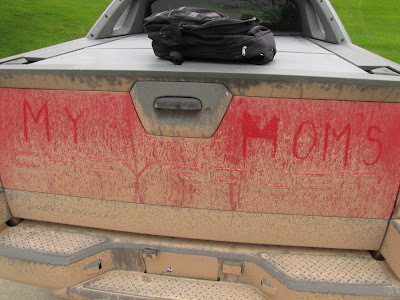 One of the other field techs thought it would be funny if he wrote My Mom's on the truck I brought out. I thought it was kind of funny too, so I left it. Your vehicle gets dirty when doing field work. A Quick Trip to Florida!